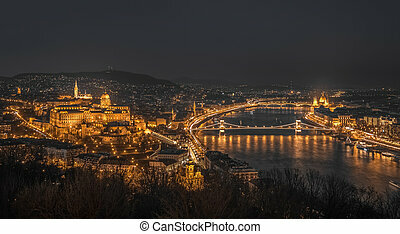 Budapest, hungary, at night. 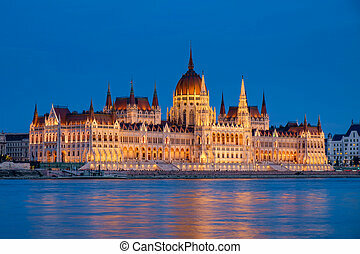 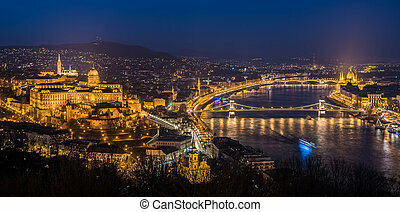 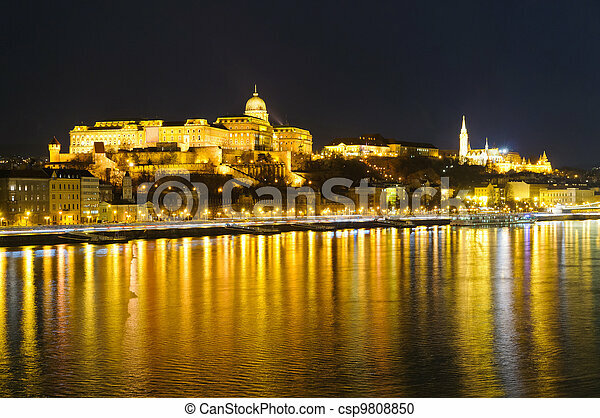 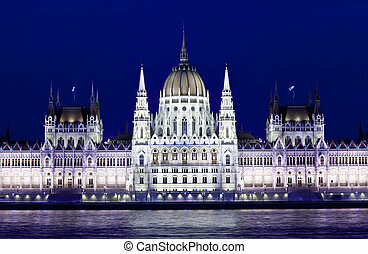 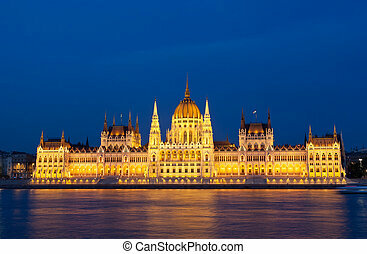 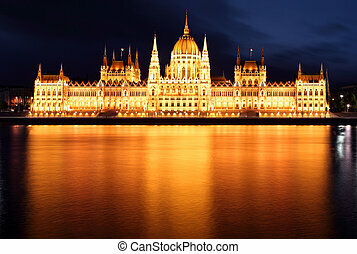 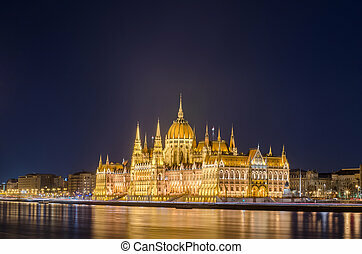 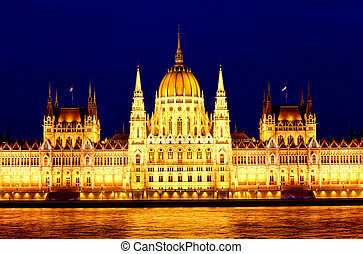 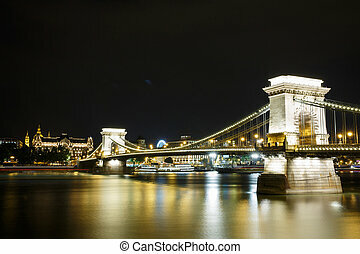 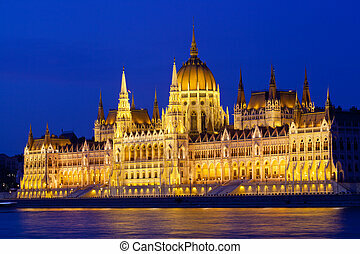 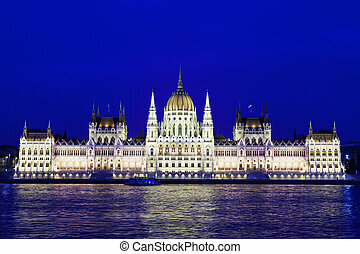 Budapest in hungary and danube river at night. 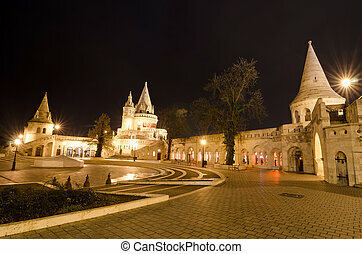 Fishermans Bastion in Budapest, Hungary at night. 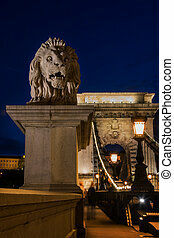 Lion statue on chain bridge Budapest Hungary at night.